A little sparkle for a night out. Material Used: 100% polyester-backed paillette fabric, 112 cm wide; 100% polyester sateen lining; 100% polyester Pellon® fleece interlining, medium-weight; 100% polyester Knit-fuse® interfacing. 2 metal jumprings, 5-6 mm dia. 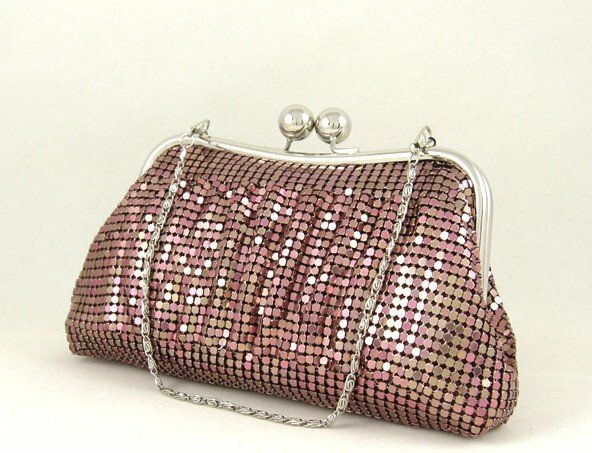 The size of the frame determines the size of this evening bag. The width is equal to the width of the purse frame. The height is equal to half the width and the depth is 1/6 of the width. 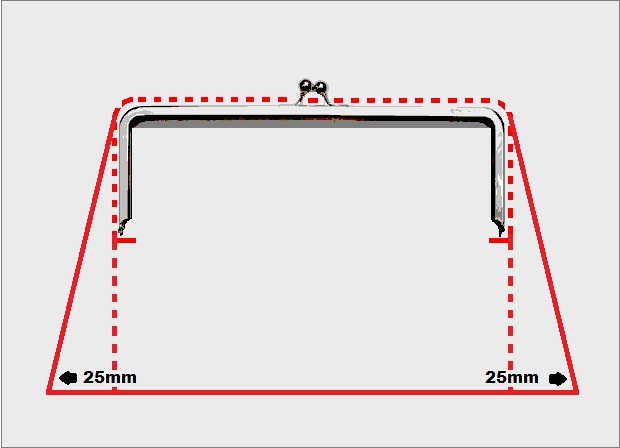 The dimensions of the purse frame used is 30 cm X 6 cm. Take the purse frame and draw around the outer perimeter following its shape onto kraft paper, including the points where the hinges stop. Square down vertically from the hinge points, and measure 15 cm from top of frame to base line for the finished height. To create the depth, add a 25 mm gusset on each side. Extend the baseline outward on either side of center and join to the top edge with a straight line. 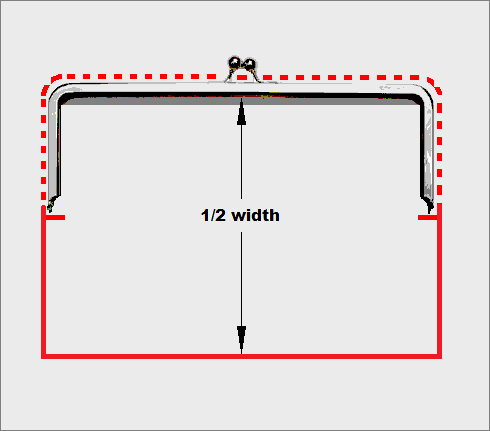 The distance from the top corner of the purse frame to its hinge equals 6 cm. Transfer this amount to your pattern draft plus add seam allowance and fit ease (this equals 1 cm for the seam allowance and a few millimetres more from end of the purse hinge location). Indicate the hinge locations with a notch. Label O. This is where the purse hinges will sit on the fabric. Cut out pattern and label INTERIOR with cutting instructions for lining/interfacing and add a vertical grainline for the marker. Trace draft onto a folded sheet of paper with the baseline aligned on the fold. Cut out pattern and label EXTERIOR with cutting instructions for paillette fabric/interlining and add a vertical grainline for the marker. Label the notches, X. Cutting Tip: Do not use your best fabric scissors to cut the paillette fabric; the plastic will dull them quickly. Exterior Bag: cut 1X the paillette fabric and the Pellon interlining. Interior Bag: cut 2X the sateen lining and knit fusible. Sewing Tip: Use a roller foot attachment on your sewing machine for more control and less friction when sewing the paillette fabric. The metal roller will not imprint the fabric. Iron the fusible knit-fuse interfacing onto the wrong side of the lining fabric, following manufacturer’s directions. Baste the sew-in Pellon® interlining to the back of the paillette fabric, by hand, around the perimeter. 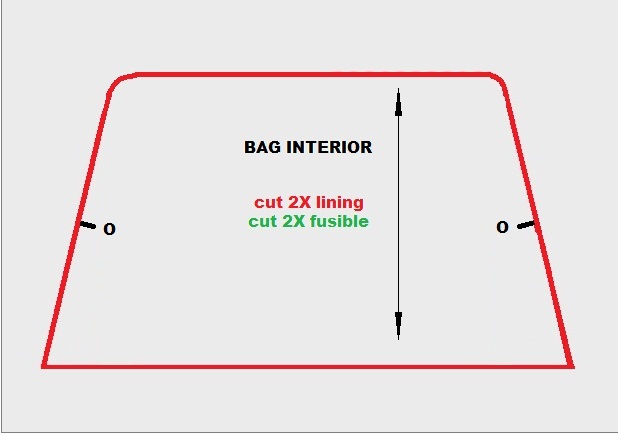 To construct the exterior of the bag, fold the paillette fabric FACE SIDES together and match the X notches. Sew from the X, down to the fold of the fabric, using a 1 cm seam allowance. 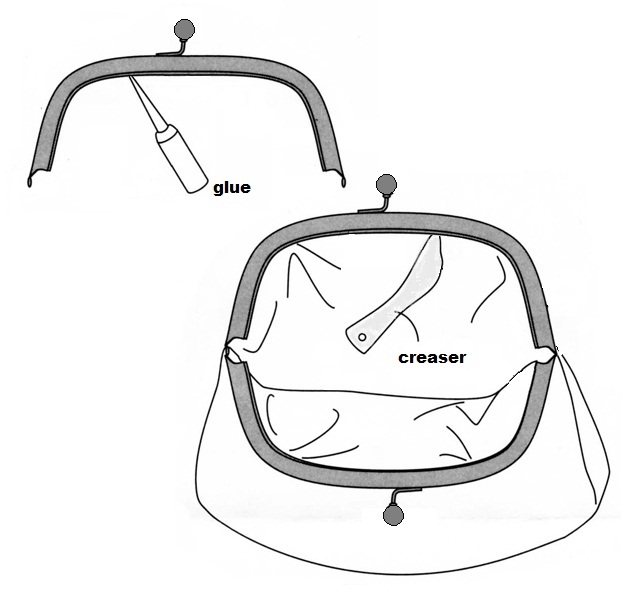 Create a flat bottom for the purse by mitering (see: mitering). 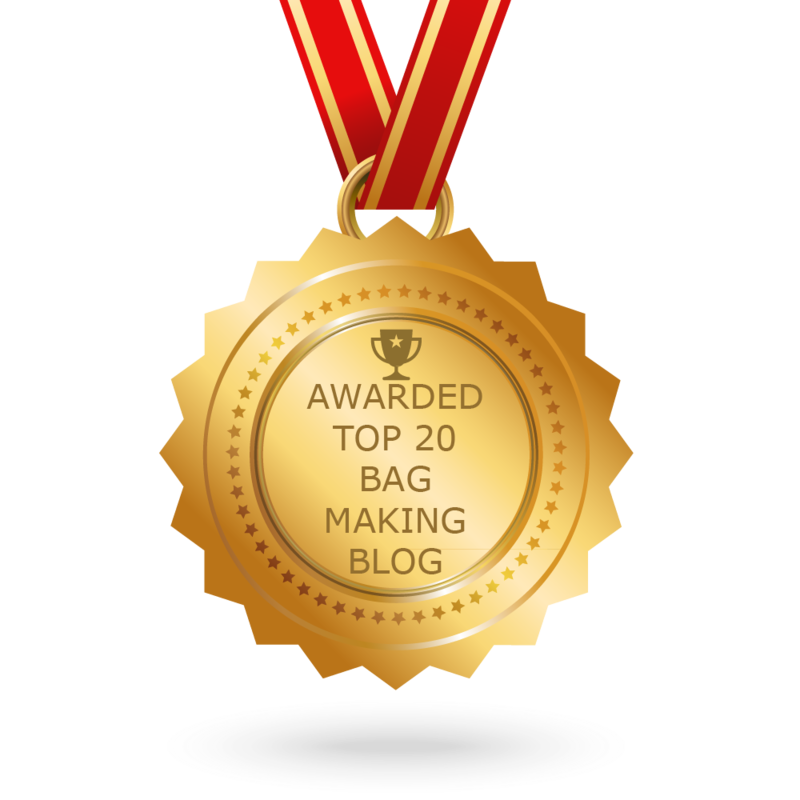 Take one of the corners of the exterior bag and match the sideseam with the foldline of the bag. Flatten to form a triangle. Measure 25 mm from the tip of the triangle and mark the line with chalk and pin. Stitch along the marked line perpendicular to the seam and trim the excess fabric 1cm from the seam to create a mitered corner. Repeat for the opposite bottom corner of the exterior. Turn exterior bag right side out. Make a slip pocket by folding a square of lining fabric in half with FACE SIDES together. Stitch up sides from fold, using a 6mm seam allowance. Turn fabric right-side-out and press flat. Center slip pocket on one section of the lining and match the raw open edge of the pocket to the base of the lining fabric. Edge stitch along the 2 sides of the slip pocket to attach the pocket to the lining. Stitch across the bottom of the pocket. (as an option, this slip pocket can be divided into 2 smaller compartments by stitching through the center of the slip pocket, if desired). 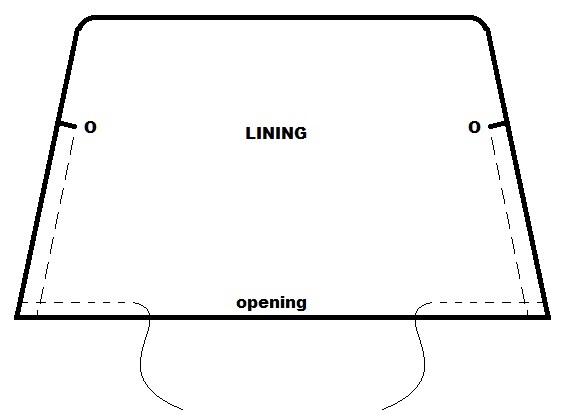 Place the 2 lining pieces, with FACE SIDES together, and align the bottom edges and the O notches. Sew from the O, down to the bottom corner of the lining, using a 1 cm seam allowance. Then, sew the bottom seam of the lining, using a 1 cm seam allowance, except you have to leave an opening in the bottom of the lining to allow for turning. Create a miter by matching the side seam with the bottom seam on each bottom corner of the lining and proceed in the same manner as described above. Slip the exterior section in between the lining. The FACE SIDES of the interior bag and the exterior bag should now be touching each other. Match up the X and O notches. Sew the two flaps of the purse. On one of the flaps pin the lining to the exterior bag at the top and sides. Begin sewing where the stitching starts on the lining, sew all around the sides and top edge stopping at the stitching on the lining. Repeat with other purse flap. Clip ‘V’ notches at the X and O in the seam allowance to aid in securing a smooth edge and trim the excess Pellon from the seam allowance. Gently pull the exterior of the bag through the opening left in the lining. Drop the lining into the cavity of the exterior section and smooth everything down with a wooden creaser, as a hot iron will melt the plastic paillettes. 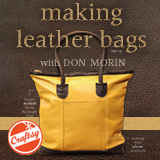 To complete and before applying the glue, dry-fit the bag into the frame to check the fit. 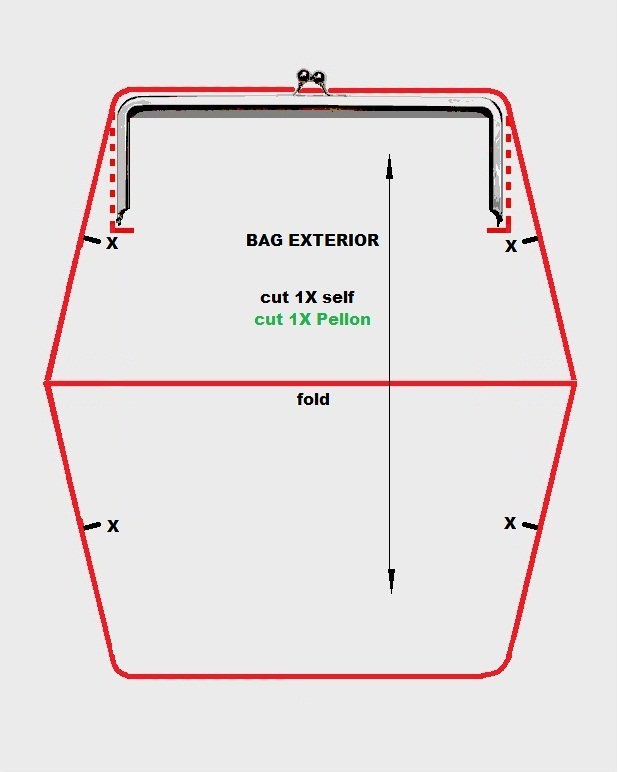 Check the bulk of the seam and trim seam allowance if necessary. The thickness of the layers at this point should fill the cavity of the frame nicely. Then, remove from the frame and sew up opening in the lining closed. Stitch the gap in the lining closed by pushing the raw edges into the gap and edge-stitching close to the edge for a neat finish. Apply clear-set bonding glue to the channel of one of the sides of the frame. Start at the hinge and work your way to the other hinge. Go easy on the glue and only do one side of the frame at a time! Use a craftstick (or something similar) to spread the glue around inside the frame. Don’t let it form “globs” or it will ooze out on your fabric. Allow the glue to become tacky for 5 minutes. Insert the purse into the frame. Start by inserting the sides of your purse into the frame (hinge end first) then work your way up to the top corners. Use a pointed tool to poke and stuff the fabric evenly into the frame – a crease presser/turner is perfect for this job. After you have inserted the sides of the purse into the frame, start inserting the top edge of the purse into the frame working reasonably quickly before the glue dries. Turn the purse over to check that the lining side is also inserted evenly into the frame. Leave to dry for 15 minutes before tackling the other side of the frame and purse in the same way. Let everything dry for about 30 minutes or according to manufacturer’s directions. Add the purse chain to the double loops on the purse frame by threading the jumprings onto the chain links and the frame loops, then closing with pinch-nosed pliers. Thank you Nehmah….may I suggest an interesting paisley or tapestry motif then just follow the surface design with your paillettes. Oh how great are YOU? I found a stash of purse frames in a secondhand shop yesterday and wondered how to use them. Off to buy them now! Thank you for sharing your wealth of knowledge with us. Thanks very much. Your explanation is very clear, do I ask you a few questions? Could you also write explanations of patterns about double clasps? Thank you for your very clear tutorial. Measuring a purse frame I have, I get stuck. It is rectangular, about 4″ (wide) by 2.3/8″. So now taking half the width for defining the height does not fix it. I suppose I should take the height at least the same amount as the depth of the purse frame. It is by the way a purse frame that has its hinges hanging free outside the purse (the purse hangs only on (in) the horizontal part of the frame). 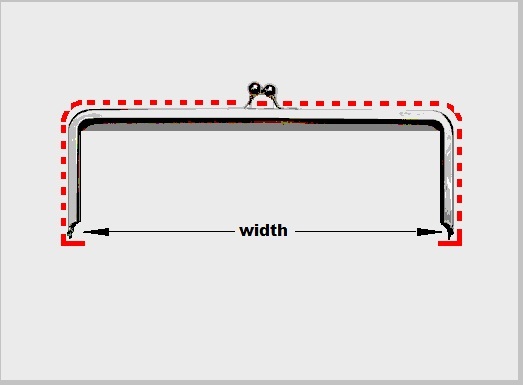 Do you have any suggestions how to design the purse around this purse frame? Thank you. Audrey you may make the height as deep as you wish.